Bigger Than Prince was born after a conversation where Yousef invited Green Velvet to Indonesia to DJ with him on the annual Circus Tour. The two had a discussion about Green Velvet contributing a brand new track Yousef's Circus X // part 1 compilation, where ten friends of Circus produced a track for Circus Recordings to celebrate ten years or Circus events. 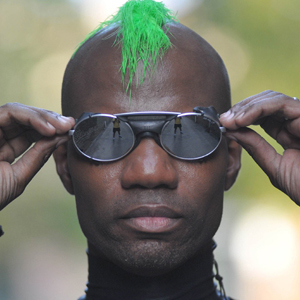 Bigger than Prince is classic Green Velvet, yet its as current and sharp and fresh as music sounds in 2013. Quirky and driving, already in the boxes of Jamie Jones and Richie Ahmed.